Ruel Smith represents life, health, and disability insurers, managed care organizations, consumer financial services providers, third party debt collectors, members of the hospitality and retail industries, and a variety of licensed professionals in civil, commercial, and complex litigation before state and Federal courts and administrative agencies throughout Florida. He also frequently protects the interests of creditors and defends the targets of adversary proceedings in individual and corporate bankruptcy cases. Additionally, Mr. Smith is versed in representing property owners, developers, general and trade contractors, and material suppliers in construction defect litigation, and defends civil tort lawsuits brought against an assortment of insured and self-insured clients, including private security contractors, operators of commercial vehicle fleets, pharmacists, attorneys, and other licensed professionals. 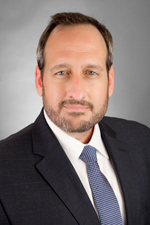 Mr. Smith joined Hinshaw & Culbertson LLP in May 2010. Previously he practiced commercial and construction defect litigation, as well as bankruptcy and healthcare law with Broad and Cassel. During this period he was seconded to multiple regional health maintenance organizations and gained remarkable insight into the business, regulatory, and operational needs of insurers and other risk-bearing entities. During law school, Mr. Smith represented Stetson University College of Law nationally on its highly regarded Mock Trial Team, and interned for the U.S. Attorney's Office for the Middle District of Florida, Tampa Division, where he assisted a team of Assistant U.S. Attorneys in a nationally publicized conspiracy trial. Before turning to the law, Mr. Smith served as a U.S. Army Air Defense Artillery officer, holding multiple combat leadership positions in the 101st Airborne Division (Air Assault) and the 3rd Infantry Division (Mechanized). As a Captain he commanded a mechanized air defense artillery battery in the 2003 coalition assault into Iraq and the subsequent peacekeeping mission and was awarded the Bronze Star Medal (with Valor Device) for his actions. Ruel Smith is a proud husband, father, and veteran whose interests include live music, military history, and football.